All the humor of Boito’s libretto (taken from Shakespeare) is superbly brought to life by a cast of great singing actors in Franco Zeffirelli's classic production. 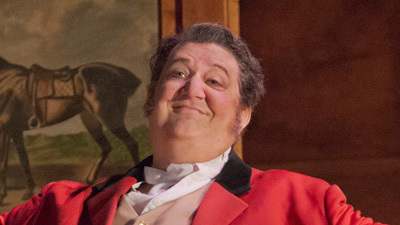 Paul Plishka is the lecherous, aging, fat knight Falstaff. Marilyn Horne’s delicious Dame Quickly gets the best of him, with some help from Mirella Freni (Alice Ford) and Susan Graham (Meg Page)—both at the top of their game. An adorable Barbara Bonney and ardent Frank Lopardo are the young lovers. James Levine’s deft conducting brings out all the nuance of the quicksilver score.